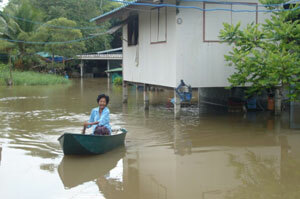 This year, many parts of Thailand are subject to severe flooding. 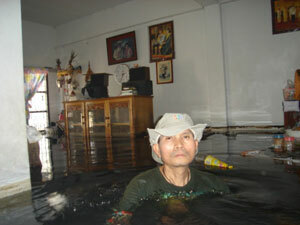 In some areas, the water surge is highest in the past 30 years. 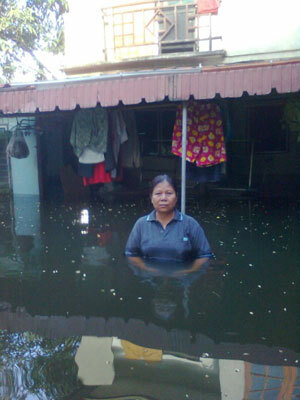 The affected region includes our old capital of Ayutthaya where the people are now stranded without food and clean water due to severed transportation linkages. 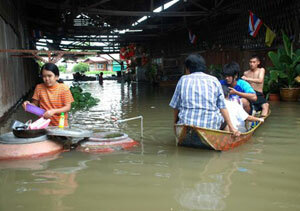 Roads are closed or cut off, making rescue and aid-distribution management a challenge. 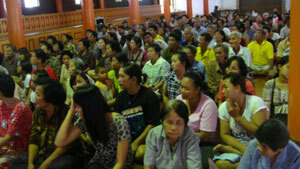 Besides Ayutthaya, many districts in the central plain provinces such as Lopburi, Nakhonsawan, Kampaengphet, Uthaithani, Chainat, Suphanburi, Taak, Phitsanuloke, Sukhothai, Pichit, Singhburi, Angthong, Nakhonpathom, Pathumthani, and Nonthaburi are much affected as well.